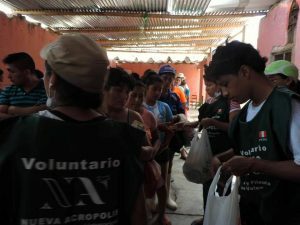 In light of the natural disasters that are occurring in Peru due to the phenomenon known as ‘El Niño Costero’, New Acropolis volunteers have been developing a comprehensive volunteering program for the benefit of survivors who have lost much of their material belongings, including their homes. This situation has been caused by the overflow of rivers and the innumerable huaicos or mudslides. 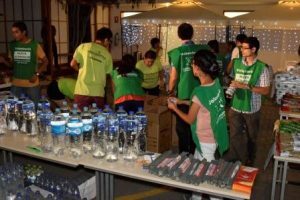 In the city of Lima, volunteers have been carrying out collection campaigns, of food, toiletries, water and clothing which have been directed to the District of Catacaos, one of the most affected areas of the province of Piura, as well as collection centers designated by the central government. Fifteen New Acropolis centers including those of Trujillo, Chiclayo, Huaraz, Ica, Puno, Huanuco, Arequipa, Iquitos, Ayacucho, Cajamarca and Chincha, among others, are collection points from where volunteers direct aid to the most vulnerable areas. 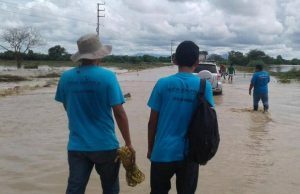 In the city of Trujillo, under the slogan ‘We all are one, a single force’, volunteers decided to go door-to-door to solicit the help of neighbors. 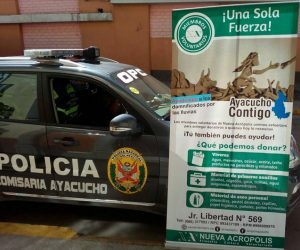 This initiative had the support of the municipality of the District of El Porvenir, which placed at the service of this campaign a citizen security van and a truck to transport donations to areas in the Districts of Buenos Aires, La Esperanza and El Porvenir in the Sector of Río Seco. “In a week not only did we manage to collect donations, but also to generate bonds of union between volunteers and to awaken solidarity in neighbors who, with the best intentions, joined this worthy cause,” said Rosmery Correa, a volunteer at this center. Carmela Becerra, National Volunteer Coordinator, reported that 10 tons of donations have been delivered so far. However, this campaign is on-going, since thousands of Peruvian people still need aid.